The pulse of our great nation beats from inside the Beltway. Deals are made, bills are passed, and laws are put on the books. Political power players, government officials, and a supporting cast of characters all play important roles. However, Washington D.C. is more than the sum of our election process. 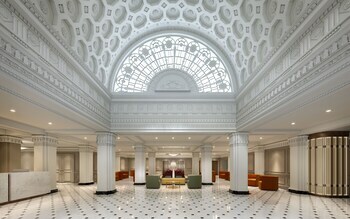 It is home to marble memorials of our Founding Fathers, fascinating museums dedicated to a variety of historical pursuits, and some of the most unique musical and culinary culture found anywhere in the nation. Washington, D.C., vacations allow you to pack in loads of sightseeing, museum visits, delicious dining, and fine arts experiences. Serving as the national capital, it plays host to a variety of nationalities, which has resulted in an impressive mix of eclectic ethnic eateries There's also an impressive number of free museums and attractions, allowing you to save on your entertainment so you can splurge on restaurants and other entertainment options. You don’t have to filibuster to find savings at Travelocity. 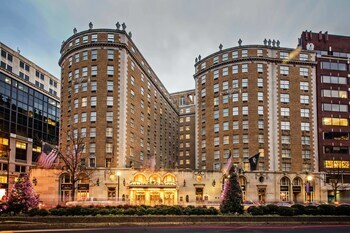 Just book the Washington, D.C. package deals that offer the best combination of hotel and airfare options into one affordable purchase. The Dupont Circle Hotel – While the exterior of the building may appear nondescript—especially compared to the affluent homes in the neighborhood—the interior of the hotel is anything but. 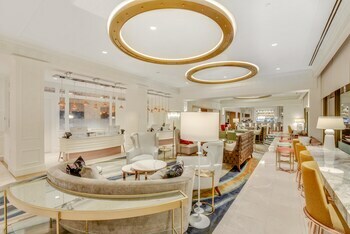 A social hub of Washington’s elite, the Dupont Circle is a stylish destination hotel with sleek décor, a street level bar and restaurant with floor-to-ceiling windows that allow you to see and be seen, and Level Nine Membership which adds even more luxury and personalized service to your stay. 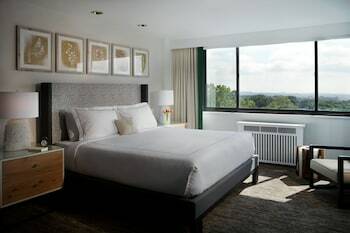 Omni Shoreham Hotel – Close to the National Zoo—as well as the Woodley Park Metro stop—the Omni Shoreham is as much a D.C. landmark as any of the iconic memorials throughout the city, having played host to world leaders, presidents, and multiple inaugural balls. 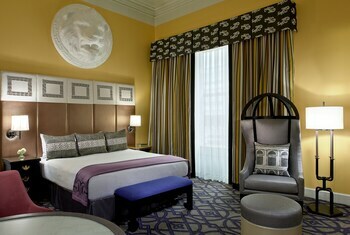 The classically styled guestrooms are complimented by spa-inspired amenities and one of the Washington’s premier fine-dining restaurants. 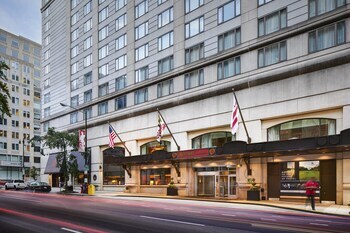 Embassy Suites by Hilton Washington D.C. - Convention Center – Just a short walk from the White House, the Embassy Suites is in a perfect location for visitors hoping to soak up our nation’s history. 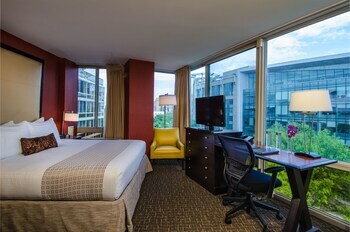 And, thanks to its flexible meeting space, conference facilities, and proximity to the convention center, it’s a desirable option for business travelers, as well. No matter if you are here on work or for fun, the complimentary evening reception is a great way to end your day and begin your night on the town. 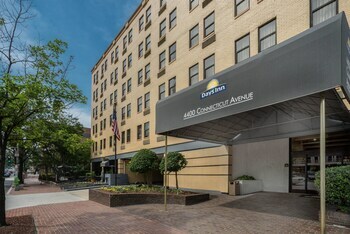 Washington Plaza – Located just south of the Logan Circle historic district, the Plaza offers a touch of sophisticated post-modern style, having been designed in 1962. 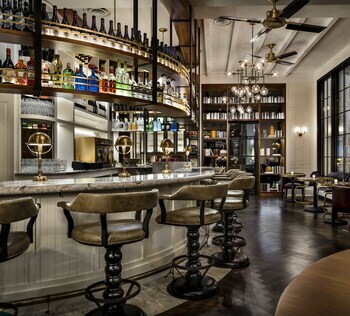 Guests can enjoy upscale cuisine at the No. Ten Thomas Restaurant, a fireside martini at The International lounge, and a refreshing dip at one of the best outdoor pools in D.C. The National Mall is the museum and monument stretch that includes the Smithsonian, the Vietnam Veterans Memorial, Constitution Gardens, and the Lincoln Memorial. 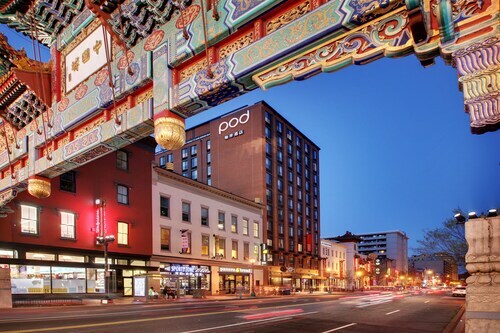 After visiting these well-known sites, explore beyond downtown D.C. Make a visit to Georgetown to walk the side streets in the quaint neighborhood before hitting the shops and bars on Wisconsin Avenue and M Street. Walk along Embassy Row to view the stately homes of foreign dignitaries or spend a day at the National Zoo. 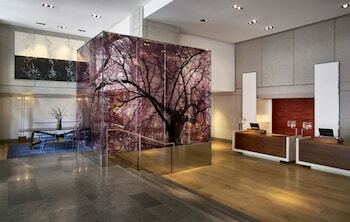 The White House, National Cathedral, and Library of Congress are other must-see attractions. D.C. has great public transportation, but renting a car allows you to visit non-centralized places like the Arlington National Cemetery, and a cruise along the scenic George Washington Parkway is always worth the time. 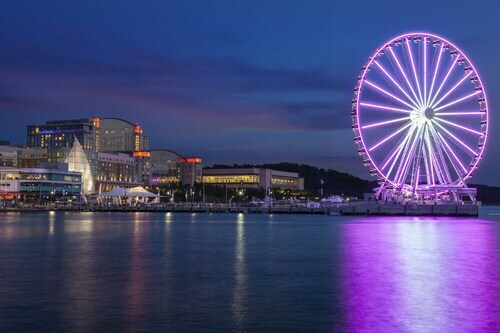 Book vacation packages in Washington, D.C. around its many festivals to experience the true local culture. Check out the National Cherry Blossom Festival in late March to celebrate the famed tree associated with the lore of our first President. The Fourth of July is another great time for vacations in Washington, D.C., as the city pulls out the stops for the celebration of independence. Patriotic bursts of fireworks can be enjoyed over the National Mall and the daytime parade features groups such as the Yankee Doodle marching band in colonial dress. Around the Fourth of July is also the Smithsonian Folklife Festival, which changes themes annually. 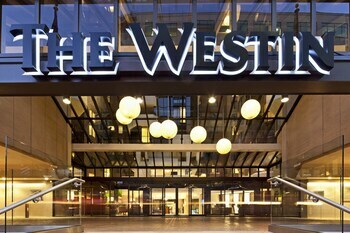 Get ready for presidential fun by booking cheap vacations in Washington, D.C. on Travelocity now. When you bundle your travel and accommodations, you can save a national mint worth of money…well, almost, anyway. Find your perfect vacation package in D.C. that offers the best combinations of hotel and airfare thanks to our easy-to-use search function. Or get mobile-exclusive deals sent straight to your phone or wireless device on the Travelocity app. We can’t promise that any of them include a Presidential motorcade from the airport to your guest suite, though. The city of Alexandria, Virginia, sits just across the Potomac River from Washington, D.C. It's brimming with many historical locations, making it an ideal vacation spot for anyone interested in early American life. 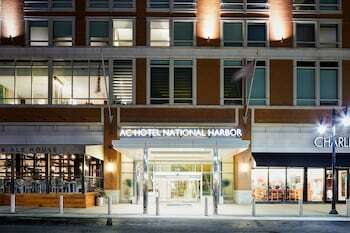 Choose one of Travelocity's Alexandria vacation packages, and you can follow in the footsteps of George Washington while indulging in the city's modern luxuries at the same time. Sterling, Virginia, is most well-known for being home to Dulles International Airport, but has plenty more to offer visitors. This area was also part of the historic Vestal's Gap Road, a major route in early America that historical figures such as George Washington and Daniel Boone traveled along. Explore a piece of American history, and join the historical and modern adventurers who planned Sterling vacations.